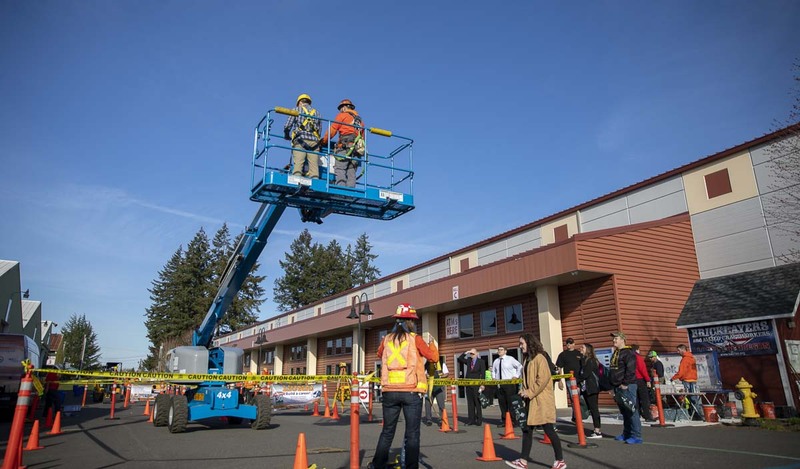 RIDGEFIELD — Workforce Southwest Washington pulled out all the stops to host this year’s Youth Employment Summit, (YES), with around 650 students, from every school district in the area attending. 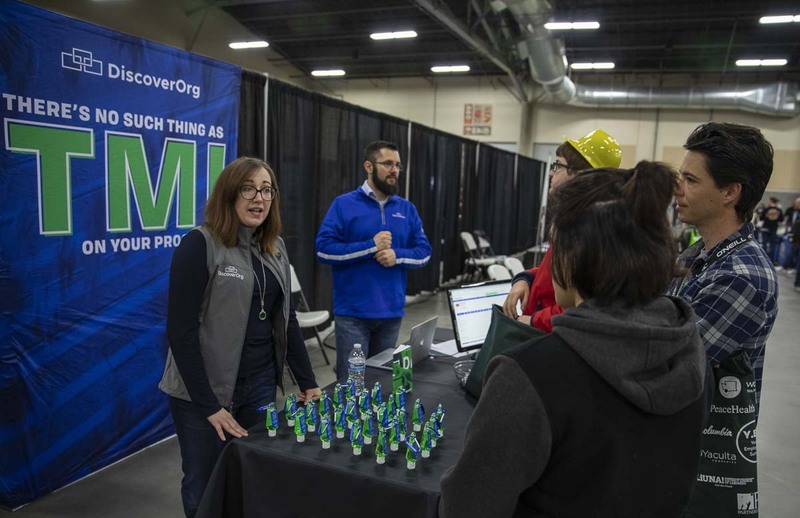 The summit, held at the Clark County Event Center, featured heavy construction equipment demonstrations, and interactive tables from over 60 area companies. Industries varied from manufacturing, to law enforcement, to healthcare. 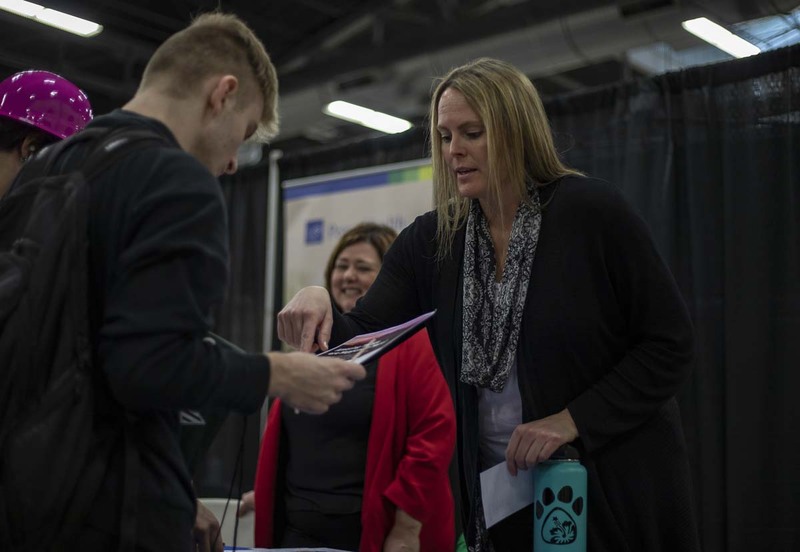 The summit was designed to allow high school students to connect with employers from a variety of companies in industries such as technology, manufacturing and construction. Many companies spoke to transitional positions for pre-college job-seekers, as well as entry-level positions for career occupations. Workforce, which invests $7 to $9 million each year into public funds to help businesses find employees and job seekers from work, partnered with many local organizations to host YES. 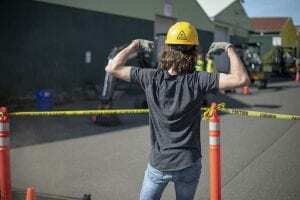 Several chambers of commerce, the Laborers’ International Union of North America (LiUNA), Worksource, the Columbia River Economic Development Council, and others in the region, were among those selected to help host the third year of the summit. Perhaps the greatest presence came from construction and manufacturing companies; evident from the massive outdoor setup of heavy machinery demos. “In this area, there are projects not being built because we can’t get the manpower to do the projects,” said Bill Skidmore, the chair of the board for Workforce and a senior account executive at General Sheet Metal, one of the companies represented at the summit. Construction obstacle courses, crane lifts and back-hoes were all a part of the hands-on display supported by LiUNA and other regional apprenticeship programs. Perkey and Skidmore both echoed that the summit was never designed with a disdain for college or university, but rather as more options for students coming out of high school who are not sure if more school is best for them. The summit saw an increase of around 100 students in attendance this year, with many searching for a summer, college or lifetime job. Black has already applied to Clark College, and expects whichever position he finds to to his transitional job not a career. He said he appreciated the ability to be charismatic and engage with employers outside of the online application. Vancouver-based healthcare system, PeaceHealth, was one of the teams to share about their industry at the summit. With 10 locations, and over 16,000 caregivers, their reach in the northwest drew them to the local pool of new employees. Local, fast growing tech companies like DiscoverOrg, Advisicon, Interject, and Netrush, need fresh a fresh influx of young workers to meet their ever-growing industry demands. Their tables were often large and surrounded in curious students. Workforce SW Washington will continue to host events and provide services like the summit in the future. 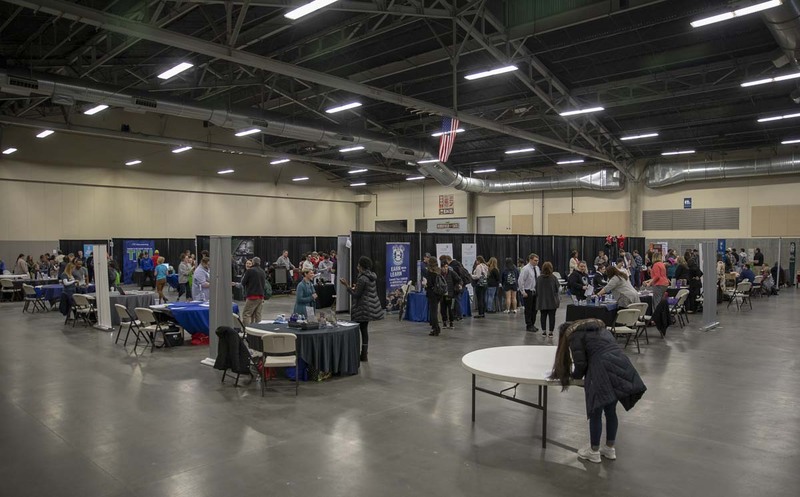 Through a partnership with Worksource in Clark County, the organizations expect to obtain more and more funding to help area residents find jobs, and area employers find jobseekers.